To find out when a SKYWARN® spotter class will be conducted in your local area, click the “Classes” button assoicated with your nearest National Weather Service (NWS) office. Not sure which NWS office covers your area? View the map blow and simply click on the county you’re located in to visit your local NWS SKYWARN® program homepage. 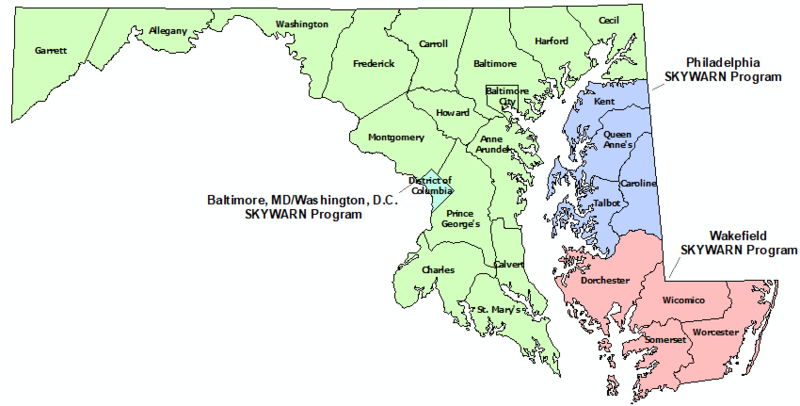 SKYWARN® is a National Weather Service (NWS) program developed in the 1960s that consists of trained weather spotters who provide reports of severe and hazardous weather to help meteorologists make life-saving warning decisions. By signing up, you agree to receive occasional updates and special offers for SKYWARN® merchandise from AnythingWeather. SKYWARN® is a registered trademark of NOAA's National Weather Service.